Aubrey Duncan has loved…and lost. Should she follow a heart that’s betrayed her or a head that tells her to let go? Maxx Demelo’s addiction almost destroyed him. It ruined his life and, most importantly, his relationship with the only girl he ever loved. He has vowed to become the man Aubrey Duncan deserves. Even if he has to tear himself apart to do it. So he enters rehab, trying to fix the parts of him that are shattered as he longs to be healthy and whole. Aubrey lost everything because she chose to listen to her heart. Now she has sworn to put herself first, to heal in the only way that she can…far away from Maxx and his demons. But a heart, no matter how broken, is impossible to ignore. 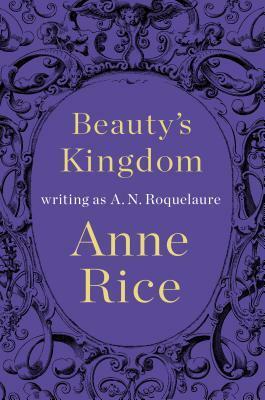 Mega-bestselling author Annie Rice returns to where she left off inBeauty’s Release with the disappearance of Queen Eleanor in Bellavalten. Now, twenty years after they were forced to leave the kingdom to return to their homeland, Beauty and her husband Laurent agree to travel back as its king and queen, to uphold the ways of complete sensual surrender, with a twist: they now insist on voluntary servitude in Bellavalten. Countless eager princes, princesses, lords, ladies, and common folk journey to Beauty’s new kingdom where she and her husband awaken their domain, ushering in a new era of desire, longing, and sexual ecstasy. Provocative and stirring, Rice’s imaginative retelling of the Sleeping Beauty myth will be hailed by her longtime fans and new readers of erotica just discovering the novels. This book is intended for mature audiences. What books did you stack your shelves with this week? 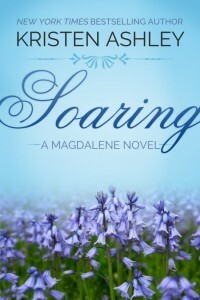 This entry was posted in Book Release, Emma Chase, Erotica, Favorite Authors, Romance, Stacking The Shelves, Upcoming Book Releases and tagged Anne Rice, Book Release, Emma Chase, erotica, favorite authors, Romance, Stacking The Shelves, Upcoming Book Releases. This week I just got Passion of the Game by Sylvia Day from online library. I originally put it on hold on 6/17/13, that’s 21 months of waiting. Whoa! That’s a long time!!! Yay! It’s on my list to read soon!